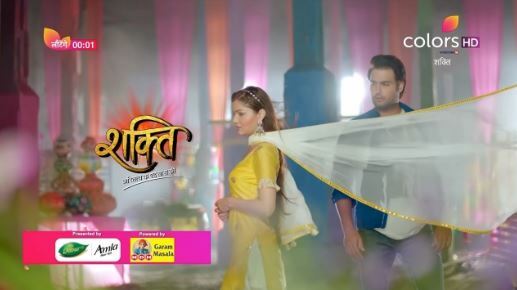 The Episode starts with Harman serving tea to Sukha and his family. Sukha says he wants to appreciate himself and pats on his back as Harman made tea in his house. Harman tells that he is a father too and asks him to taste the tea and tell him. Sunaina says he is so egoistic. Sukha asks him to enjoy the tea made by Harman. Harman comes to Soumya. Soumya says sorry to Harman and says she is very lucky to have him as her husband. She says she doesn’t know how to repay his favors. Harman asks if she thinks that he is doing this for her, and says no, and says he is doing this for Soham, his family and himself. He says atleast we three, are together. He tells Soham that even his father can do anything for him. Soumya says I know and says she said as she doesn’t want him to complain. Harman asks if I really complain. Soumya asks him to ask Soham when he grows up. She says she is feeling tired and drinks tea. Harman asks how is it? Soumya says it is like you. Harman says once they have Soham, they will do everything infront of him. Soumya asks him to put less tea. Soham starts crying a lot. Soumya gets worried. Varun and Sweety wake up. Varun says he cries a lot. Sweety asks him to do something fast. Soumya asks Harman to call doctor. Harman says that Doctor said that his fever will increase first and then he will sleep. Soumya asks if he studied medicine. Soham sleeps. Harman says he will be fine in the morning. Harman says I didn’t study medicine. He says if you are Soham’s mummy then I am his Papa. Soumya says sorry and nods her head. Sweety applies lipstick. Varun says if she goes out then riots will happen to see her. Sweety takes money from Varun and asks Soumya to clean her chappal. Gurmeet makes the floor dirty with his shoes and asks him to clean it. Harman asks if you want then I can clean you off from this world. Sweety tells Soumya that she does clean the shoes nicely and asks her to tell Harak Singh to start Polish shop. Sunaina sees milk boiling and calls Soumya. Soumya runs to kitchen. Gurmeet asks him to clean his room as well. Soumya comes to room and is about to touch the vessel. Sunaina scolds her and asks her to wash her hand. Soumya says I know that you want me to go. Sunaina tries to slap her for arguing. Harman comes and holds his hand and threatens to break it. Gurmeet comes and slaps Harman. Harman holds his neck. Soumya asks him to leave Gurmeet and asks him to understand. Sukha asks him to leave Gurmeet and asks them to leave. Harman apologizes. Soumya says I will stay here and says let him go. Sukha asks Harman and Soumya to leave. They push them out of the house and close the door. Varun and Sweety smiles. Harman asks Soumya to come and takes her home. Soumya cries hugging him. She says how we will meet him and how we will bring him back. Harman says we will show the proofs which you recorded to the lawyer. Soumya hugs him and cries. Precap: Varun asks lawyer to bring the couple to Sukha’s house for Soham adoption. Saya informs Harak Singh about Jashn in Sukha’s house. Soumya tells him that there is something for sure and she will go there.